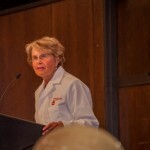 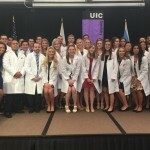 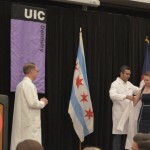 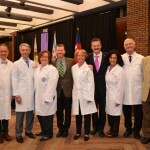 The University of Illinois College of Dental Medicine 2016 White Coat Ceremony took place on Friday, September 23, 2016. 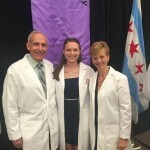 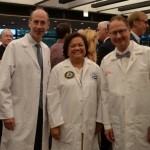 The white coat is the garment traditionally worn by health care providers. 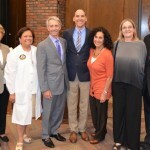 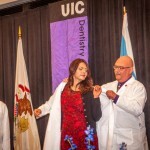 The White Coat Ceremony symbolizes the student’s entry into the healing profession of dentistry. 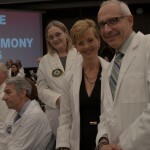 It celebrates the choice to pursue a life in service to the health of society, and exemplifies the commitment of future practitioners to professionalism, ethical practice and service to the community. 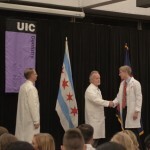 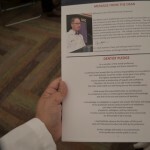 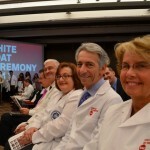 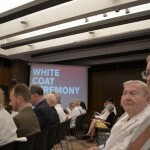 The White Coat each student receives is symbolic of their commitment to excellence in science and patient care. 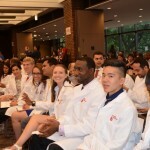 The Illinois Academy of General Dentistry welcomes the DMD Class of 2020 and the DMDAS (International) Class of 2018 into their new lives as a student dentists. 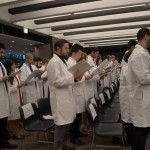 The mission of the ILAGD is to foster the continued proficiency of general dentists through providing high quality continuing education to better serve the public. 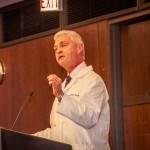 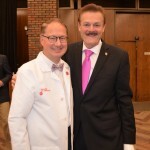 The Illinois Academy of General Dentistry, represented by Dr. Larry Williams, along with the Illinois State Dental Society Foundation, the Chicago Dental Society, the American College of Dentists and the International College of Dentists spoke to the students about organized dentistry and its role in supporting them during dental school and then after they graduate with their DMD degree.